Bright and airy 2 bedroom 2 bath SMART HOME duplex unit with garage parking in uber convenient Manors at Stonegate. 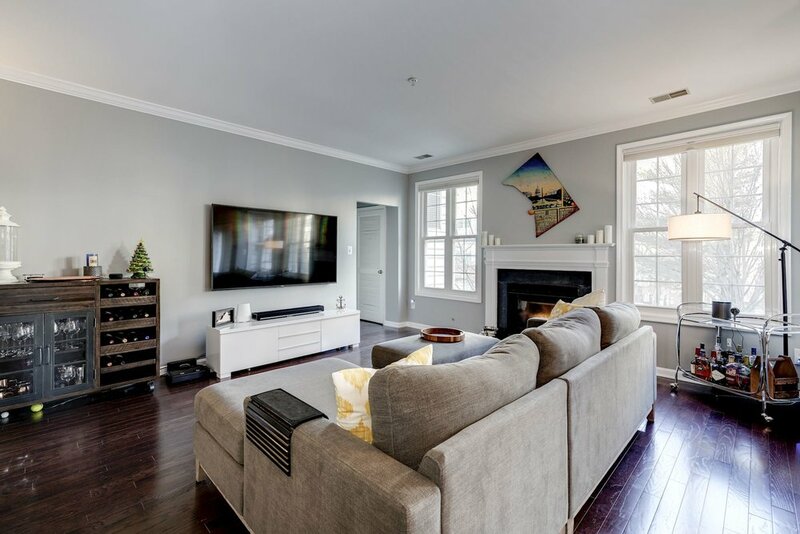 This freshly painted unit features updated hardwood flooring and contemporary light fixtures throughout. Expansive open living space and kitchen with ambient natural light, gas fireplace and balcony complete the first floor while private bedrooms are maintained on the second level each having their own baths. Smart home enabled with Nest thermostat, smoke detector and Nest+Yale door lock. Newly replaced washer & dryer and hot water heater make this unit truly move-in ready! Community features pool, community room which makes great space for gatherings, and charming park like tree lined streets. All moments from downtown Alexandria, bars, restaurants, shopping, and Amazon HQ2.